SPARQL query language is targeted to search datasets encoded in RDF. SPARQL Update adds support of insert and delete operations between graph stores, enabling queries to process data in steps, have persistent memory and communicate with each other. When used in a system supporting incremental evaluation of multiple simultaneously active and collaborating queries SPARQL can define entire event processing networks. The method is demonstrated by an example service, which triggers notifications about the proximity of friends, comparing alternative SPARQL-based approaches. 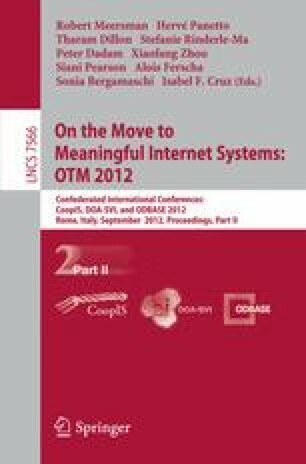 Observed performance in terms of both notification delay and correctness of results far exceed systems based on window repetition without extending standard SPARQL or RDF.